A low carb version of beef stroganoff -a classic comfort food. Use ground beef to make a quick family friendly meal. 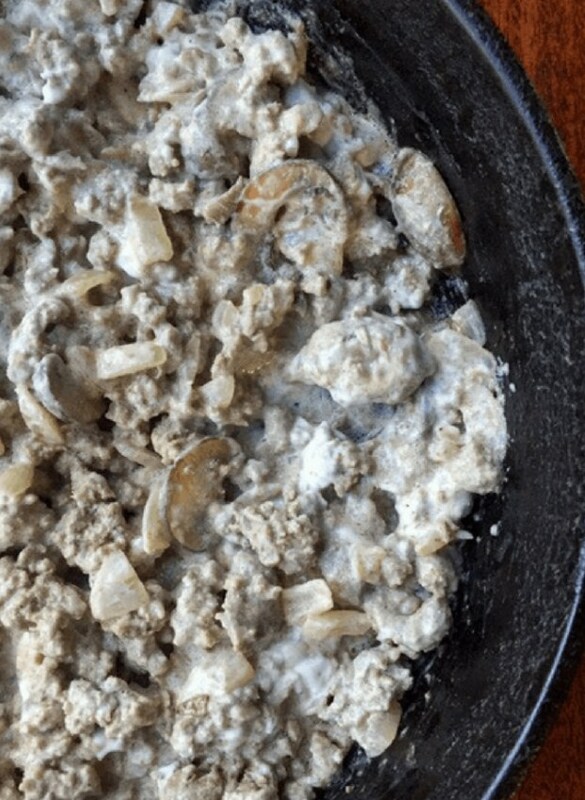 Remove mushrooms from pan then add ground beef and onions to skillet along with broth and Worcestershire sauce. Cook until beef is browned and fully cooked. Add lemon juice, paprika and cooked mushrooms to ground beef in skillet and stir to combine. Heat to a simmer then remove pan from heat. Stir in sour cream then adjust seasoning with salt and pepper if needed and serve. May be served in bowls or over toasted ultra-thin bread slices.